Of course you do. Everyone does—or so they say. But what everyone doesn’t know is that you can’t simply write awesome content and hope that it will draw people like flies to honey from social media. Mark Schaefer says that writing content is the starting line, not the finish line! You have to learn how to ignite that content to bring about a better response when it’s time to share it on social media. So throw out the idea that all you should be doing is saying “Check This Out” in your social media updates, throwing your link up, and hoping for the best. That’s not a social strategy. You must learn to provide ignition for your content. If content is fire, and social media is the gasoline, as Jay says, make sure you’re throwing the gas in the right direction. Let’s assume you already understand who your target market is, the relevancy of your content to your audience, and the filler words that need to be used in between. These words I’m about to show you are a powerful couplet when married with relevancy and “need to know” topics. 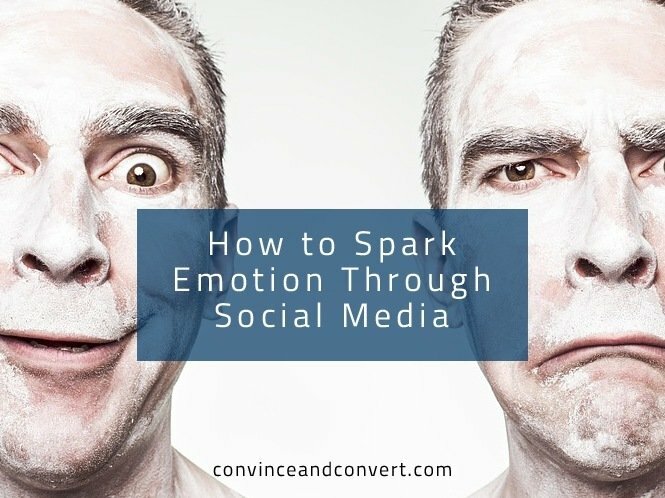 I want to talk about five key words—not keywords, but KEY words—that you should be using to trigger an emotional response from your target audience on social media. You have seen these words before. You have probably even performed an action on these words without even knowing it. They are so subtle, you don’t even recognize that these words are making your brain spin overtime processing the information that comes from them. The most powerful words you can use to attract people on social media are known as the Five “W’s.” Want to see? The Who is an important part of your strategy when you are crafting a social media update. No, I’m not talking about Roger Daltrey and the famous band, but you definitely won’t get fooled again if you use the word “Who” in your update. You get the drift. Use the word “Who” to grab the readers attention. Saying the word “Who” automatically makes the person listening or reading want to know who you are talking about. It is a common psychological trigger that is closely related to #FOMO (fear of missing out) that you’ve heard so much about lately. We are more like the animals than we care to admit. We are creatures of community. We flock like birds, and gaggle like geese around each other for support and help. Dr. Gauthier explains that in using the word “Who,” we immediately want to find out who this is and how we can get them into our community. Using this word will make the reader dig deeper into who you are talking about. As with all of the Five “W’s,” the word “What” induces a question in the left hemisphere, or Brocal area of the brain. This is where your language center is located and where people will process the words that they see or hear. The term “What” tells us that there is a topic or subject matter being discussed. While you’re not giving away the secret, you are letting them know that the answer is found by reading the article, heading to the landing page, etc. In a study done by various Cognitive Psychologists, they found that the word “What” was recognized 52% more than the other Five W’s in language cognition. This is a very readable word and one that is acted upon the most in your marketing. Take a look at article titles today. I can almost guarantee that you will see this word at some point in someone’s title. Do they know the power of the word “What?” Perhaps, and maybe they don’t. Either way, it’s a word that makes people pay attention because you are indirectly telling them that you’ve got something they need. I can remember Doc from Back to the Future looking at Marty saying, “Not where, but when!” Meaning they were going back to the future, or was it the past? I can never remember.. In many experiments of time, the results show that we are creatures of the clock. We are people who are obsessed with it. Everyone is impacted by time. Dr. Anderson revealed that time creates who we are and what we do for ourselves in the future. We are directly impacted by time, which is why this particular word is one of the most powerful words you can use. So how does throwing around the word “When” have anything to do with time? Using this word automatically in your marketing, as this journal suggests, makes your audience start to think of a time frame in which something could happen—for instance, When To Change Your Marketing Strategy. Well, if you’re going to change it, the time is now, right? People will immediately put a date stamp on this word because they understand and appreciate time—but only if it’s fast. We live in an age where we can text someone across the world in a matter of seconds and microwave a full meal in five minutes. We don’t want to wait for things to happen. Having said that, you must understand that if you promise this in your article title or social update, you should be prepared to deliver results to your readers within the said time frame. A study performed by Dr. Nehro Johnston says that when you promise something and don’t deliver with the word “When,” 64% of the people will lose trust in what you tell them after the fact. This word lets people know the location of something or how to find something. Using the right language in your social updates can bring about more results. The use of the word “Where” again brings another question that needs to be answered in someone’s mind. According to the Journal of Science & Health, using the word “Where” brings a more personal approach to the person. As we are people that naturally grow communities with each other, we want to go places and be where the action is happening. It’s a promise to fulfill a need of community in a person’s psyche. Understanding the personal use of language will show you that the use of the word “Where” makes the reader want to go to the place you are talking about. It comes from a sense of wanting to belong to something, to be included in the mix with other marketers. No one wants to be left out, and telling someone where something is triggers an emotion. They won’t be able to resist the urge to click. The word “Why” demands closure. It demands an answer right away. Usually when people ask you why, they expect you to know the solution to something. The word “Why” is pronounced “Cur” in Latin and has been used forever. We are a race that needs to know. Look at the power of these three little letters! Just in the past 30 years, the scientific breakthroughs and technological revelations have been enormous—simply because of three little letters. The power of curiosity is strong, and it can help your marketing when you use this word. The best blogs always ask a question. For example, Social Media Examiner’s blog normally starts its articles with a question. Why? Because it gets the reader to thinking about something you want them to start thinking about. Sometimes people don’t understand that they need a certain question answered. Other times they already know they need a question answered, and you just reminded them. Either way, the word “Why” reveals closure, an answer, and it shows people that you’re about to help them find something out that they couldn’t have gotten elsewhere. Create curiosity around your content by crafting something that uses the word “Why,” and you will start to understand (why) people love to learn so much. Psychological triggers happen all around us in social media, in content marketing, in video marketing, visual design psychology, etc. What you need to remember is that everything you do has some kind of affect on people. Even if it’s boredom, your content and social strategy will have an affect. They will make a decision about your brand right then and there, whether you have affected them positively or not. Take closer notice of your marketing strategy on social media. These small tweaks can mean a world of difference and trigger key emotional responses for your brand online.